Georgina was surprised to find Samantha’s mum had been secretly listening to her daughter’s reading. Excitedly confirming the significance of Granny Smith apples, pound notes and Big Ben. 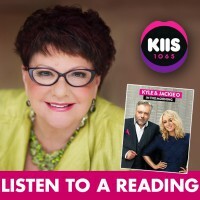 Jodie channeled to Georgina the Aussie song “Click go the shears” taking Heidi’s breath away. It was the song she sang to her friend after her passing! The reference to the movie “My Best Friend’s Wedding” and Max demonstrated that there will always be a connection to those we love, as love never dies. Chris received multiple validations that his dad knew what was happening in his life, right now. From the over spending on the house renovations down to removing his curls and a baby was on the way! Georgina ‘phoned’ home to the spirit world to connect with Jackson’s friend. Sarah spoke of leaving risky business behind to having eternal peace and what was the significance then and now to the movie Twilight.